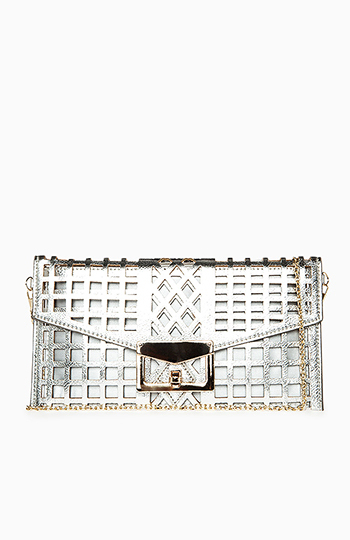 Faux leather cage cutout clutch with removable interior zippered pouch. The caged in Clutch is a perfect clutch for a holiday party. Excellent! I love it!